I like to use Twitter as a medium to think out loud on trading, or life in general. Sometimes, the tweets turn out good, but sometimes not so much. I always feel it’s difficult to make sense in 140 characters (the maximum allowed), yet, paradoxically, I like the platform precisely for that very reason – it’s simple and straight to the point. All in all, I write in all good faith, to share my hard earned lessons based on the knowledge I have gained throughout the years. Sharing also helps me with accountability — it forces me to live by my own sayings. These tidbit thoughts and many others are available in my new book The Little Book Of Calm Trading. Learn to observe and trade the market as it is and don’t pay attention to other people’s opinions. They don’t know any better. Never let a desired monetary goal make you forget to follow your rules. Your account’s short-term fluctuations doesnt say anything about your long-term performance. Let go of the obsession. Trust your process. One of the best ways to make quick progress is to not slip into the default mode of measuring and comparing your life to others. We all see the world through the prism of our identity. If our self-worth is low, it affects everything we do… including trading. Don’t just read books, articles, share quotes, watch videos… If you want to get better at trading, you need to have skin in the game. The most successful path to mastering anything is to practice for the sake of the practice itself, not for the result. Think carefully about how u spend ur life. People often spend their lives chasing things that are not as important as they seem. Discipline means adopting a kind of constancy that is independent of the kind of day you had yesterday & the kind of day you expect today. Everything that happens in the markets is impersonal. Nothing actually happens to YOU as a person. So you are free to choose how you react. When you do technical analysis, be careful not to project what you want to see on the charts, instead of opening your eyes to what is there. The nature of trading makes it an emotionally charged game. Emotions never go away. Over time, we just learn to deal with them. If your risk exposure is too big, your decisions will be driven by fear rather intuitive experience, or the rules set forth in your plan. Trading can be easy. The real problem is the worrying, the expectations, delusions, the inability to let go… For those reasons, it’s not. Trading is like professional athleticism. You must come to enjoy rigorous practice, pushing past your limits, & resisting the easy way out. If you haven’t noticed, trading is mostly waiting. You’ve got to relax, let things happen. 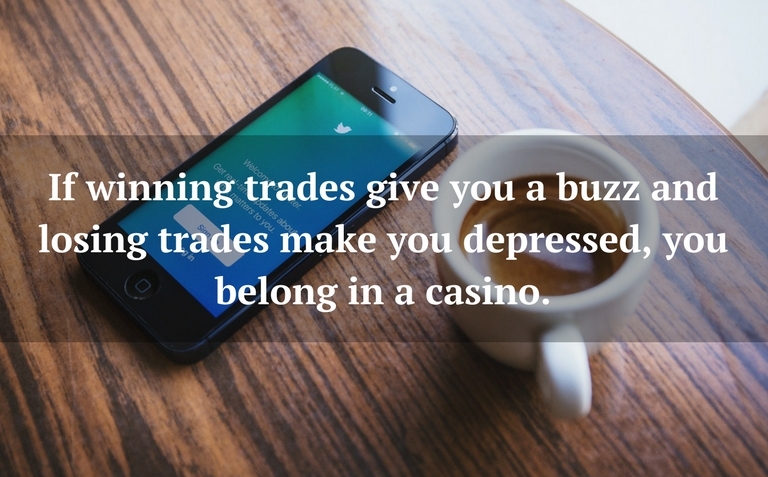 If winning trades give you a buzz and losing trades make you depressed, you belong in a casino. Negative emotions will not only harm your trading performance. Over the long run, they’ll damage something much more valuable — your health. Trade your rules, not your whims & fantasies. Because rules allow for consistent results. Losses are common. 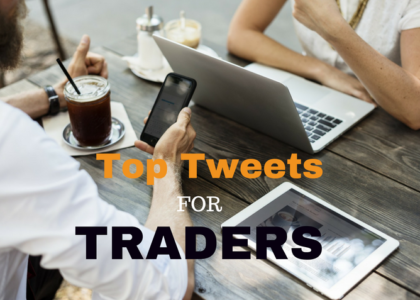 They happen all in time in trading. What’s not common is when one chooses to see them as learning experiences. Sometimes the markets can hand u strings of losses, but on this path to consistent profitability, if u follow your plan u’ll walk in peace. Trade well and follow your plan from the beginning and then there will never be any need to look back with sadness, frustration, and regret. The market does not hurry. It moves at its own rythm, on its own time. Be patient. Let it do its thing and strike when the time is right. Tensions ease when you realize what truly matters in the markets. Trade simply. Let go of the complexity. Ego, strong opinions, emotions stand in the way of good trading. If you’re a bad loser, you should work on that first before you try your hand at trading. This game is all about losing graciously. 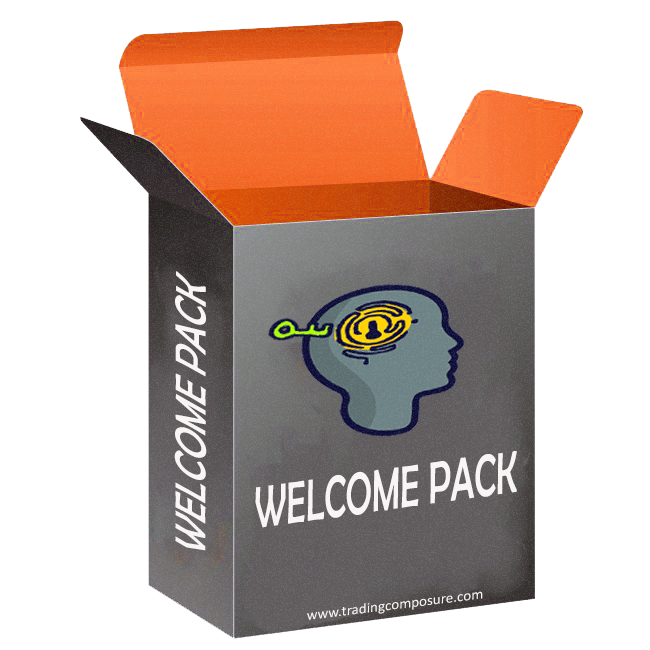 As soon as you enter a trade and genuine release your expectations about that trade’s outcome, you become free. You can’t suffer anymore. Great traders have realized the damage that excessive attachment can do to their trading account and their overall well-being. You may follow your plan, but you are never sure if your efforts will pay in the short-term. Good trading requires a longer term view. Your thinking mind and your emotions can deceive you. Your trading plan is always right. If the reliability of your trading system is based on weak evidence, you’re going to have a hard time being profitable. It’s you against yourself. Not others. Not the market. Realize this. Stop intellectualizing everything. When you get a signal, take it. When your stop loss is hit, get out. That’s all there is to it! Deluded people don’t realize that their own mind is causing them to lose in the markets. They keep searching for solutions outside. Trading is ALL process! You show up day after day after day, and you FOCUS on the PROCESS! That’s ALL there is to it. Dont shy away from losses. Just make sure they’re small so that you can stay in the game long enough to learn and grow stronger. Behavioral problems, not technical knowledge, are what separate the amateur traders from the pro-traders. Over the course of history, human behavior has changed, but not human nature. That’s why you see repeatable patterns in the markets. These titbit thoughts and many others are available in my new book The Little Book Of Calm Trading.